Normally, when a plumbing installation is done, it is expected to last for years without a problem. Situations may arise when the sewer system is either damaged by other civil works, accidental breakages or clogging from unexpected disasters. When such unexpected emergencies arise, the sewer pipes have to be replaced or relined. Depending on the extent of the damage, locations, piping conditions and configurations, sewer replacements can be a costly exercise involving digging trenches, replacing the pipes, redoing the joints or reorganizing the entire drainage system. 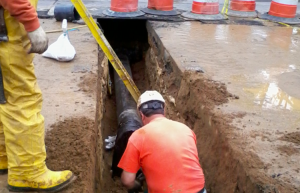 Sewer line replacements also involve lots of planning and should be done by a qualified plumber. Video technology can be used in inspecting the sewer lines to get a view of any possible clogs, identifying the root causes of the sewer problem and how best to access and repair or replace them. Other methods that can be used include digging of trenches to gain access to the damaged areas and installing new pipes. Why exactly is it necessary for you to get your sewer replacements done earlier than later? One, to enable you to get rid of the smell emanating from the sewer. Secondly, it’s to prevent any damage that may occur halting your business as well as the reputation of the company. Additionally, when sewer issues are solved in good time, the company responsible helps prevent certain health risks. Whenever you notice that your sewer line is damaged, it’s important to alert the relevant bodies in your organization and have them find a possible solution.